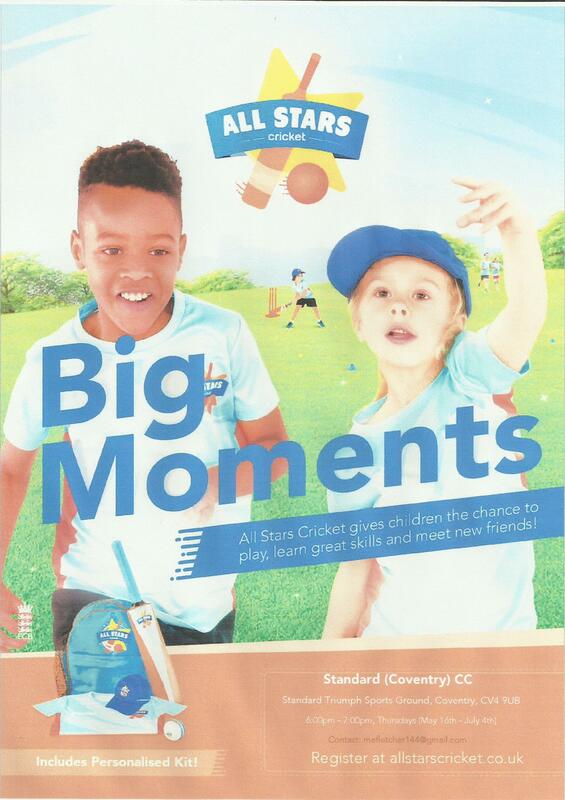 Standard Cricket Club is a designated ECB All Stars Centre, please click here for full details and enrolment. For ages 5yrs to 8 yrs. Sons, daughters, family members, friends all welcome. There is a group of eleven already enrolled. Friday 26th April start 11.00am. Tickets are available for a donation of £4 Adults, £2 under 18/Students, £nil for U16s. First come first serve basis – contact mefletcher144@googlemail.com or call 024 7641 3314. ENROL BEFORE THE FIRST MATCH THIS SATURDAY 20TH April. The site is live https://standard.fantasyclubcricket.co.uk/ please go on and create a team. 50% of the profits are paid out as prizes, usually Top 3 and a "lucky loser" depending on the number of entrants, the remainder will go into the club. The entry fee for each team is £10. 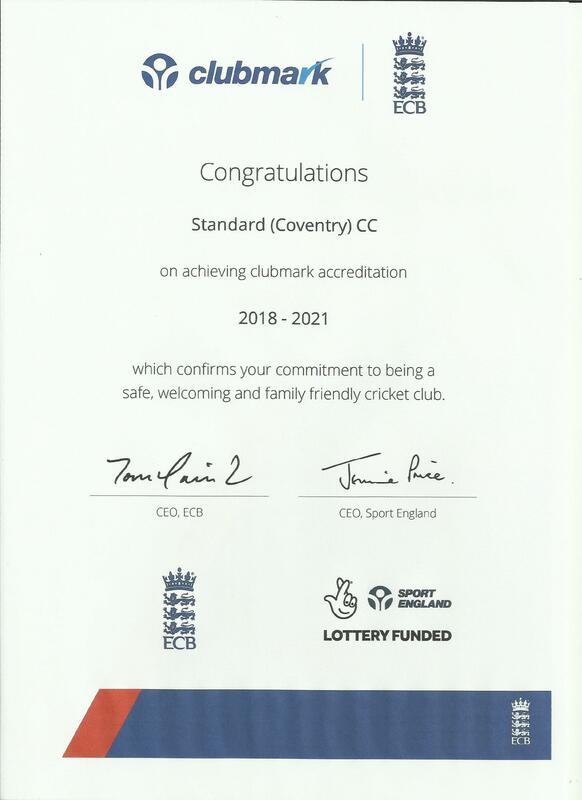 Cricket members and families are also members of the Standard Triumph Recreation Club and are welcome to use the facilities - bar, snooker, darts etc. Function rooms are available to hire for that special event. Visit the Club in person or click here for details. 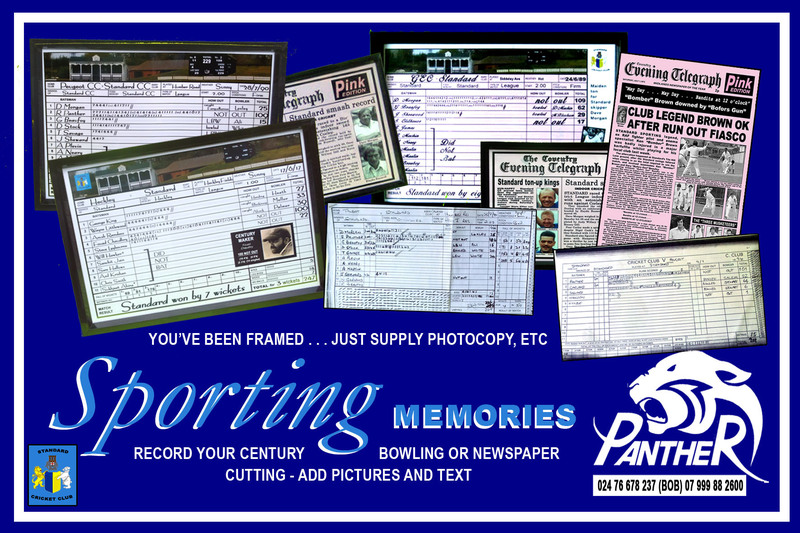 Bob Panther can provide a permanent record of your notable achievement in cricket or other sports. Price from around £25 includes design, type-setting, printing and frame. Standard CC will receive a contribution to club funds for each item purchased. We want to continue the maintenance and development of our cricket facilities for the benefit of all our members. You can help by supporting our fundraising initiatives. How about joining the President’s Club? Contribute £5 per month to have a chance of winning in the monthly prize draw. Payment options include direct debit, cheque or cash. Contact Mike Fletcher for more information.